Excitement is building about the final film in Darren Wilson’s critically-acclaimed series. Father of Lights is a documentary that promises “historic encounters” as the team break through “religious misconceptions” about who God is. If you’ve seen Darren’s earlier films - Finger of God and Furious Love, you’ll know what the fuss is about. His team have captured miracles in such an honest and real manner that it’s tough, if not impossible, to argue with. The story begins six years ago. “The person who has been changed the most by these films is definitely me,” Darren says, looking back. Looking back, Darren said he used to be skeptical about miracles. What I believe now is 180 degrees different to what I believed before. Not only was Darren skeptical and uninterested in the miraculous, he didn’t want to be a filmmaker either! Before Finger of God he was an English professor. He describes his first film as a fluke. Unfamiliar with his equipment, Darren was starting from scratch. But believing God had told him to start the project, he went all over the world filming God heal people, even giving some of them gold teeth and gemstones. His skepticism was demolished, and if you’ve seen the film, you’ll know why. After the “fireworks”, Darren put the 90 minute documentary up on Amazon.com and walked away. Next thing the now film producer knew, the movie had become a cult hit, going global as thousands watched the film. When I ask Darren for the most common piece of feedback from audiences, he doesn't hesitate. "Your films have changed my life." But this life-changing quality is not dependent on aesthetics, as Darren well knows. The result was Furious Love – a film even more mind-blowing than Finger of God. Travelling to some of the world’s darkest spiritual climates, Darren was putting God’s love to the test. Witnessing what happened when God’s love broke into the most tragic of circumstances resulted in a hard hitting, emotionally intense and awe inspiring movie. Will Darren be able to top his other two films? Finger of God was a very low budget production. In terms of quality, and arguably content, the leap to Furious Love was monumental. Darren is excited as he tells me the jump from Furious Love to Father of Lights is greater still. Eager to get a preview of what fans can expect in the final film of the trilogy I ask Darren for more details on the content. “It’s about the father’s heart ultimately. Who the father really was. When you talk about the trinity the Father gets all the bad press. Jesus is the cool one, the Holy Spirit is super mysterious and then you’ve got the Father who everyone blames everything on. I wanted to get to his personality and discover his character. “In my opinion this [Father of Lights] is the most important of the films and it’s by far the best. People are resonating with it so amazingly because it’s revealing the heart of the Father. To see he’s not mad, he’s not sad or upset, he’s happy and is crazy about you. It’s about the heart of the gospel. Darren claims he’s saved the best till last with a “big crowd pleaser” at the end of the film. “It’s the most surprising crazy ending you’ll ever see. I’m not spoiling it when I say we get into the Dome of the Rock in Israel which is completely off limits to non Muslims. We managed to not only go in there and film but proclaim Jesus as Lord in their holy of holies. It’s not that we did it, it’s how we did it. It’s the most miraculous thing you’ll ever see. It’s been bringing down the house everywhere we show it. “Wild” certainly sums up Darren’s first two films. 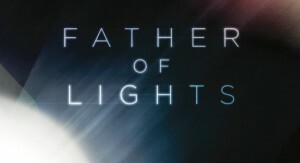 Father of Lights promises to be just as mind-blowing when it’s released on 16th October. Make sure you’re one of the first to get your hands on a copy by pre-ordering Father of Lights here now. 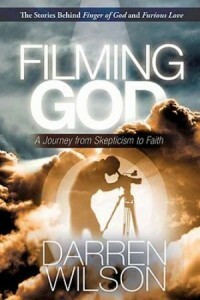 For more on Darren's amazing journey, see his book Filming God. To buy Darren Wilsons's other films on DVD, click here. Darren will be touring Father of Lights around the UK in November. For Father of Lights tour dates click here. Can't wait to see the film! Darren - you're on fire! Don't stop now!! !